No one quite knows what to make of Western Beef. Is it a discount store? No. Is it an ethnic store? No. Is it a specialty store? No. 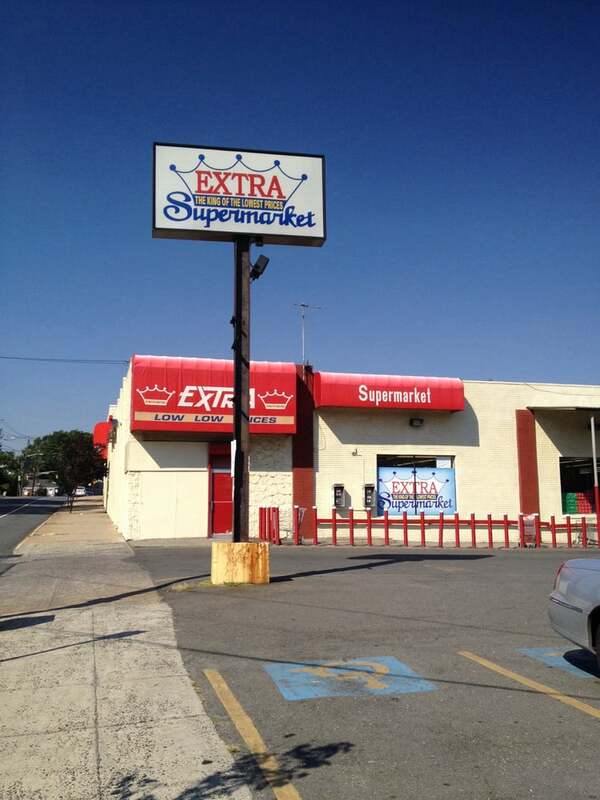 Is it a regular supermarket? No. The Western Beef is closer to the Food Bazaar than either of the other two. The interior is pretty unremarkable, save for Western Beef's trademark walk-in refrigerator room, which is very nice in the summer but was not great in February! Well, that wraps up not only our Mount Vernon supermarket tour, but also our coverage of the Rockland/Westchester area for now! We're headed back to the Northern New Jersey region on Monday for another store tour, so stay tuned! 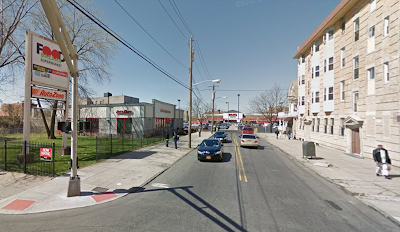 Remember when the only chain willing to go into low-income urban neighborhoods was Pathmark? 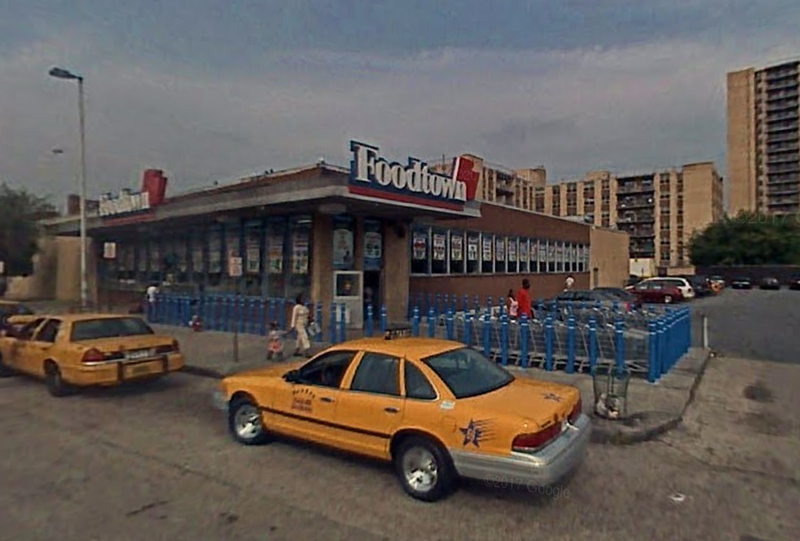 The Mount Vernon, NY Pathmark is a prime example of that. Opened in the 1990s, the store's advantage over the nearby competition was size. At over 60,000 square feet, the store is enormous for the area. The Western Beef and Foodtown are probably more in the 30-40,000 square foot range and C-Town is more like 15,000 square feet. Pathmark closed around 2012, with Food Bazaar opening soon after. 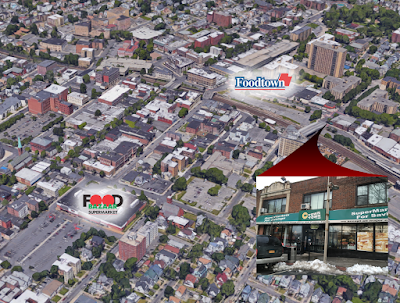 After the store was opened, Food Bazaar began an extensive remodel -- more on that later. The approach is certainly impressive, at least the way I came in. 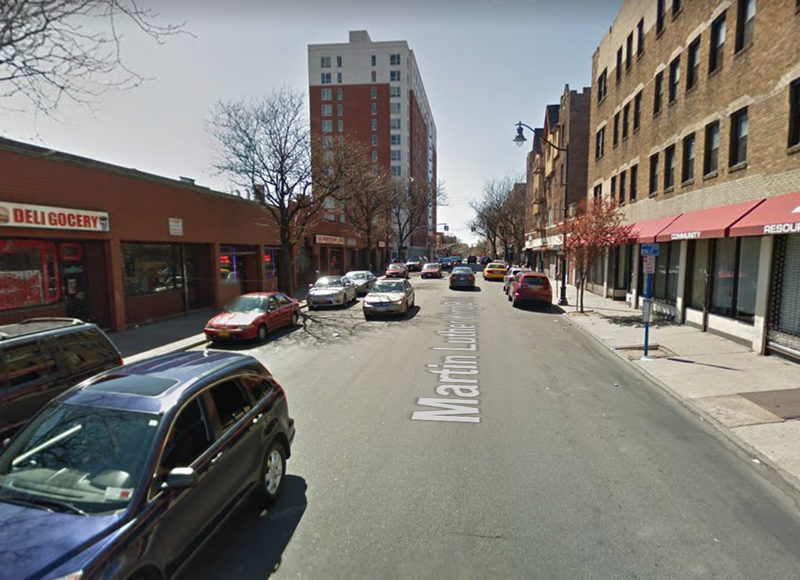 Mount Vernon is a low-income, urban area and Third Street, one of the main roads through town, is very narrow and busy. At the corner of Third Avenue, it opens up a little bit to the right. You can see the Food Bazaar sign. Gee, I wonder if Pathmark's architects laid out the property like that intentionally? As usual, the street views are from Google Maps. I think this store does very well. When I visited on a Saturday around dinnertime, it was packed. "Bogopa" is the Korean word for yearning or desire...and the name of the corporation that owns Food Bazaar. This store's layout as a Pathmark was a standard Pathmark Super Center design. Food Bazaar moved in with minimal renovations, just a new paint job and some layout changes. 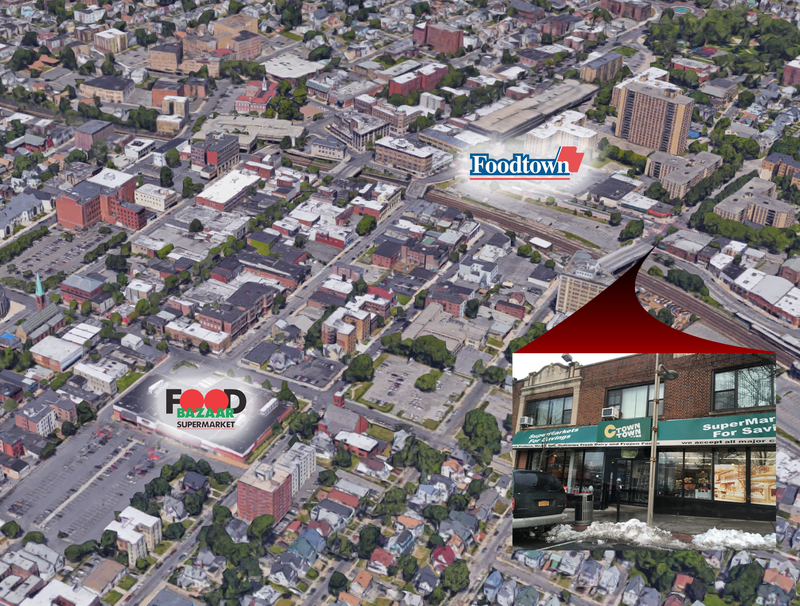 Most important was the conversion of the HABA department to an ethnic foods department. I think Food Bazaar took a little of the backroom space for the bakery/deli/hot food area. They've also added an independently-operated pharmacy into the front corner. Courtesy is back where it belongs on the front end, and ethnic foods have been moved to the grocery aisles. After entering, you make a left turn into the produce department. Here we're looking towards the back wall of the store with grocery aisles to my right above. This decor is incredibly intricate here! I believe Food Bazaar added managers' offices above the produce section, explaining the low ceiling. As with any ethnic grocery store, there's a huge selection of these assorted root vegetables, none of which I know anything about. I think what I probably have to do is just buy some one time, and figure out what to do with it, and just go down the list! Seafood is set up as a self-service department, and there are employees available to prepare fish to order if you prefer. The butcher shop is along the back wall of the grand aisle, with packaged meat in lower cases in front. These coffin cases look quite old, but I don't know if they were Pathmark's. There is a pass-through to grocery at the front and back of the store. Here we're looking along the back wall towards bakery and deli. The ubiquitous "wall of values" in the first aisle. On the other side of this wall is the produce/meat/seafood room. Towards the butcher counter in the back. The grocery aisles are pretty standard. Food Bazaar replaced the shelving, but I don't know if it was during the renovation or before they opened. 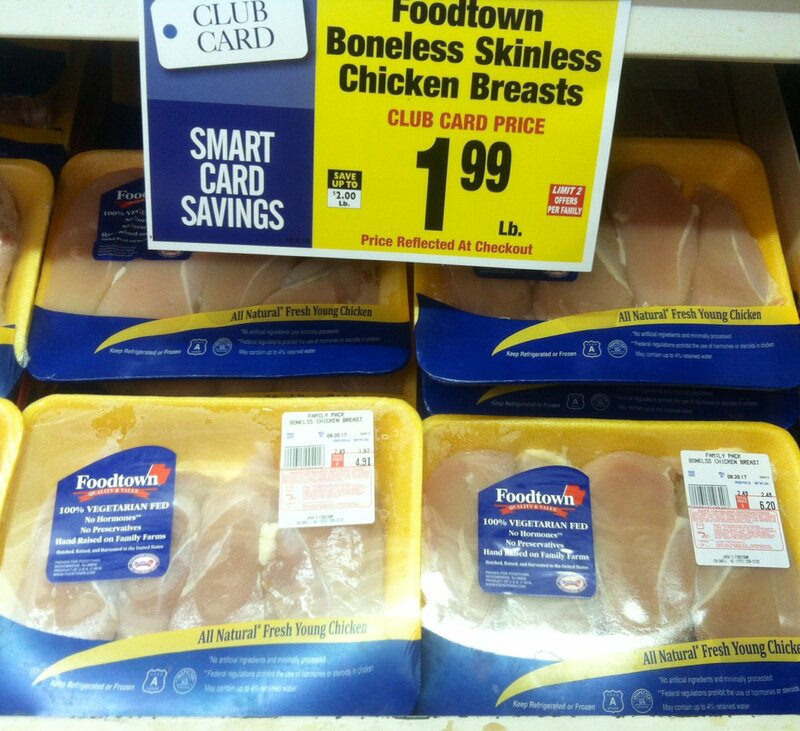 I think Pathmark's meat cases would only have come out as far as that case on the bottom here does. The bakery and deli are under a lower ceiling in what probably was backroom space. Bread and rolls are to the left of the service bakery/deli. They were CLEANED OUT when I visited, but it was the end of a Saturday. The fake-wood floor is where the expansion would have begun. Service bakery with deli to my right and hot food behind me. Jumping over to the front of the freezer aisle, we see that the coffin cases have not yet been replaced. And I'm just noticing now that the sign in the front here is advertising something Signature Select brand, an Albertsons (Acme) brand! I don't get that! Dairy in the last aisle with Pathmark flooring intact. Milk in the back with all-original Pathmark cases and flooring here too! Looking along the back wall towards the bakery/deli area and then butcher past that. I'm not sure exactly what the ConEdison office does (maybe bill payments), but the pharmacy is standard. It's an independently-operated business and was closed at the time of my visit -- but is in business. Strangely enough, the pharmacy delivers but the store does not. 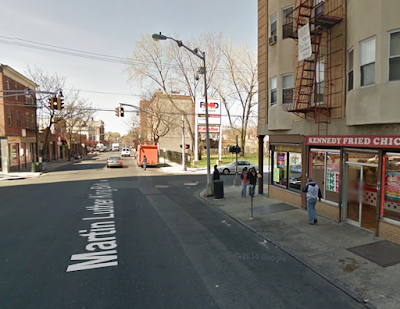 Around back, where the store directly backs up to a residential street, we see Food Bazaar struggling to fill the width of this Pathmark sign. Also I think they'd better check the centering of the Food Bazaar logo on the white rectangle! 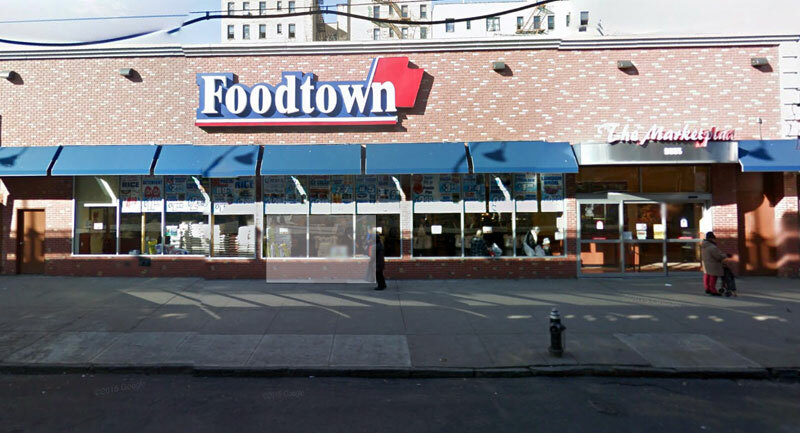 Another great Food Bazaar although this one is clearly in rougher shape than some of their newer stores like North Bergen or Fairview. One more in this series coming soon...Western Beef on Friday! Thanks to all the readers who make this worthwhile! 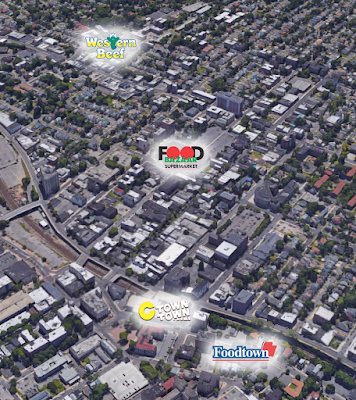 Update: It's no longer marked as closed on Google Maps, but no circular on CTown's website. Anyone have any info? 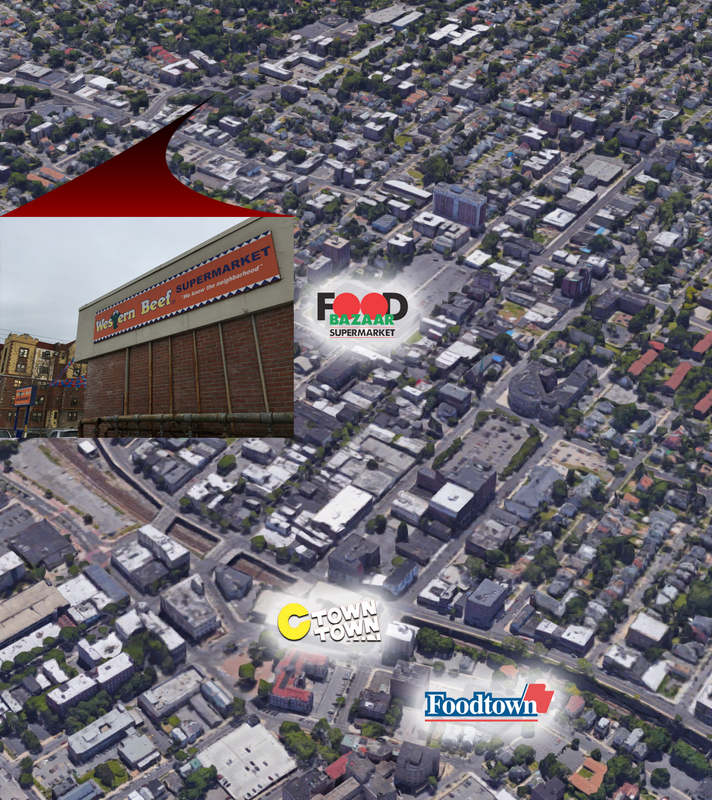 Second Update (9/27): This has been converted to a La Placita Foodmarket, still under the Krasdale Foods umbrella. The Western Beef is kind of outside of the central area where the others are. 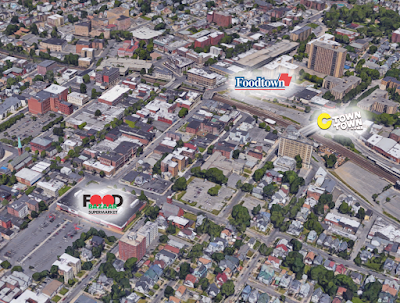 Today we're going to look at the Foodtown. 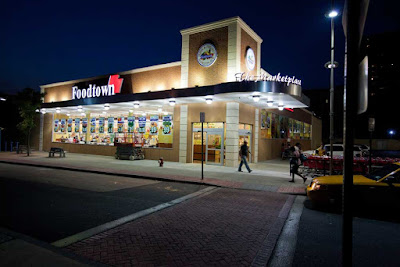 The Foodtown has its own small parking lot, which can be quite difficult to navigate if it's full (which it was when I visited on a Saturday evening). 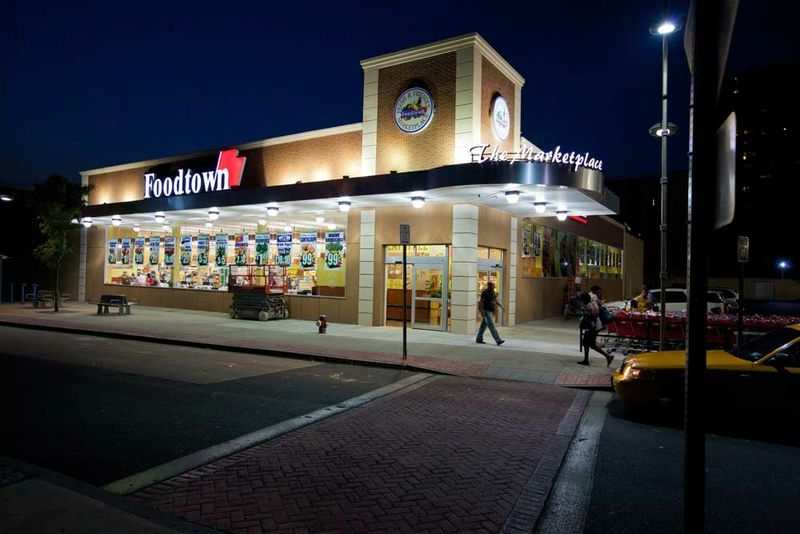 The Foodtown was extensively renovated around 2012. Before, the store was pretty depressing, at least from the outside. 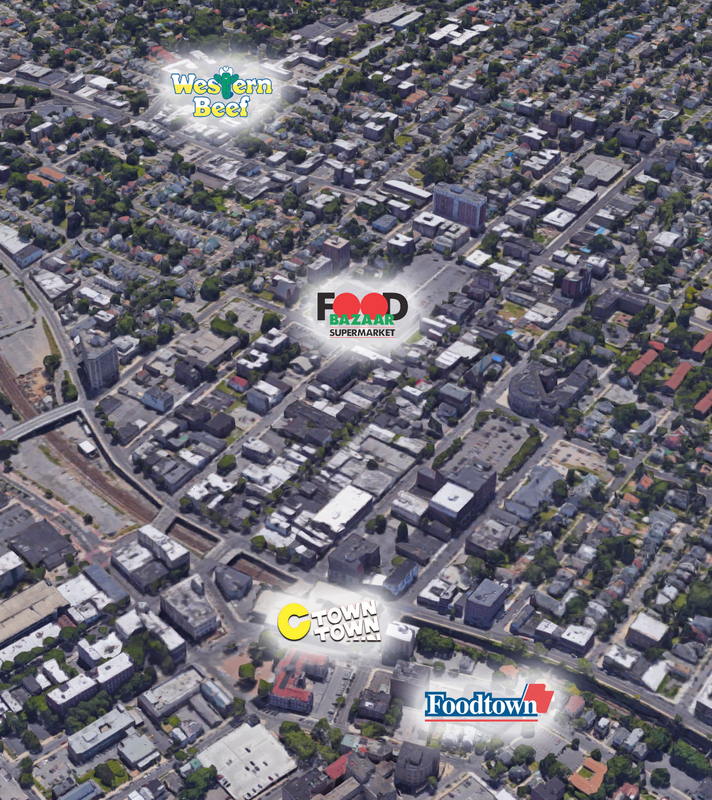 All 3-D map and street view pictures are from Google Maps, as usual. The last photo is from Creative Space Design, the design and architecture firm that designed the remodel. Now, obviously that nighttime photo has been Photoshopped, but the store does look great. I was lucky to find a parking spot in the lot. 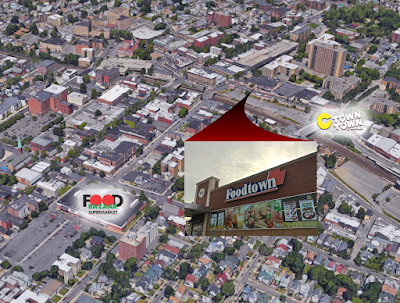 Foodtown shares this lot with a strip of smaller stores behind me in the above photo. 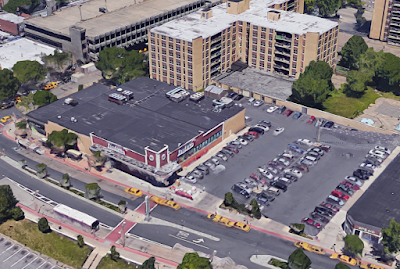 The front-end actually is along the street and the grand aisle (produce/deli-bakery-hot food/seafood) lines this side wall facing the parking lot. The deli counter is along the parking lot wall. I think we're looking towards the entrance here. The layout is pretty crazy. The store is a rectangle, so you might think, how bad could it be? Problem is, the aisles don't all go in the same direction. This store has more specialty services than it was ever intended to have, so the grand aisle is also pretty cramped. Great produce! Also notice they're not using the standard Foodtown sale signs. Not sure why. Self-service seafood on ice at the back of the grand aisle, with meat behind me here. The street and front-end are to my right. Meat looking down towards the other end of the store. The first few aisles are chopped up because of the size of the deli/bakery area and a beer department behind it. You can see how the aisles don't all run parallel! I do love the floor and shelving though. On a side note here: Foodtown is one of the few places I can consistently find 100% recycled paper products, under their own (new) Greenway brand. Marcal used to have their Small Steps line as 100% recycled, but it's now made with recycled AND new material. You can sometimes find the Bright Green products at Acme, and I randomly came across a large selection of other brands at Extra Supermarket in Maplewood, but otherwise they're very hard to find! All new freezer cases were installed in the renovation. Dairy aisle with older, open-deck cases. There's a strange alcove in the front with a lower ceiling where bread and similar products are kept. I don't know if it would have been something else originally or if it always was like that, but it's quite strange. Come back on Monday for photos of the C-Town! 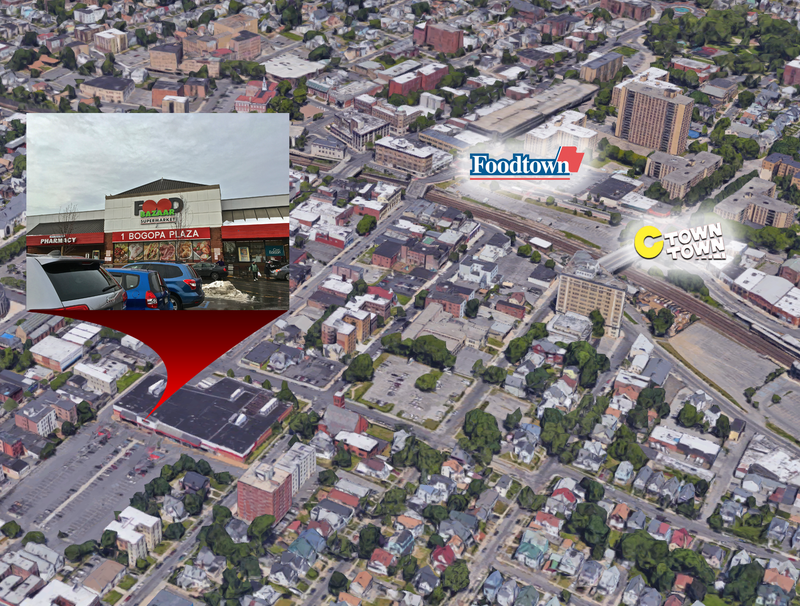 Snapshot: The Superstore of Yonkers!